Indian Meteorological Department has predicted that pre-monsoon season (March to May) could be warmer than normal temperatures across all meteorological subdivisions of the country. Normal to above heat wave conditions are likely over core heat wave zone of the country. MET officials have cited global warming trend for increasing temperatures across the country. Even hilly states like Himachal Pradesh and Uttarakhand are likely to witness 2.3 degrees higher temperature than normal. Confirming the increasing global warming and its effect on Earth’s temperature, Indian Meteorological Department (MET) has forecasted that there will be a stiff rise in mercury this summer and might be above normal by more than 1 degree Celsius. In its seasonal forecast outlook for the 2018 pre-monsoon (March-May) temperatures over the country, MET has said that a heat-wave situation could emerge across North India. Maximum temperature could be higher by more than 1 degree Celsius above normal in over half the country during the pre-monsoon season. National Capital Delhi along with neighbourhood states like Haryana and Rajasthan are likely to face 1.5 degrees above normal temperatures. No relief has been given to the hilly states like Himachal Pradesh and Uttarakhand, IMF has predicted 2.3 degrees higher than the average temperature in these states. IMF Seasonal forecast covered the various zones of India such as Delhi, Punjab, Himachal Pradesh, Uttarakhand, Haryana, Rajasthan, Gujarat, Madhya Pradesh, Chhattisgarh, Bihar, Jharkhand, West Bengal, Odisha, Telangana, Marathwada, Vidarbha, Madhya Maharashtra and coastal Andhra Pradesh. Southern states are also likely to be warmer than normal by 1 degree Celsius. 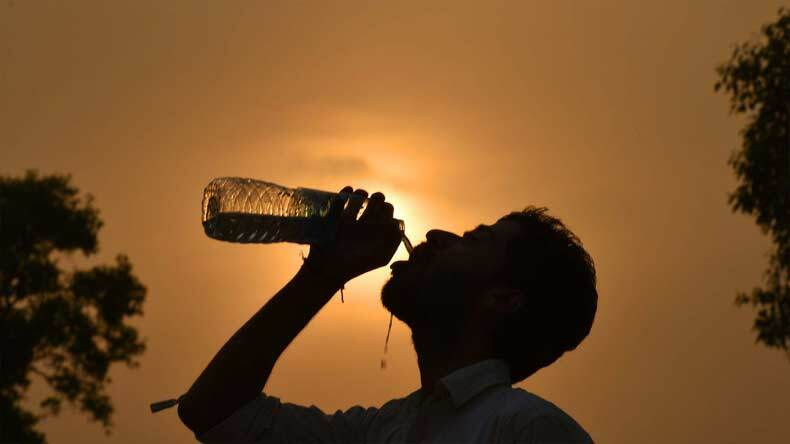 IMD maintains round the clock watch and issues heatwave warnings as and when required at meteorological subdivision level valid for next 5 years through National Weather Forecasting centre (NWFC), New Delhi. Since 2016. IMD, Ministry of Earth Sciences has been issuing seasonal forecast outlooks for subdivision scale temperatures over the country for both hot and cold weather seasons based on predictions from an ocean-atmosphere coupled climate model.